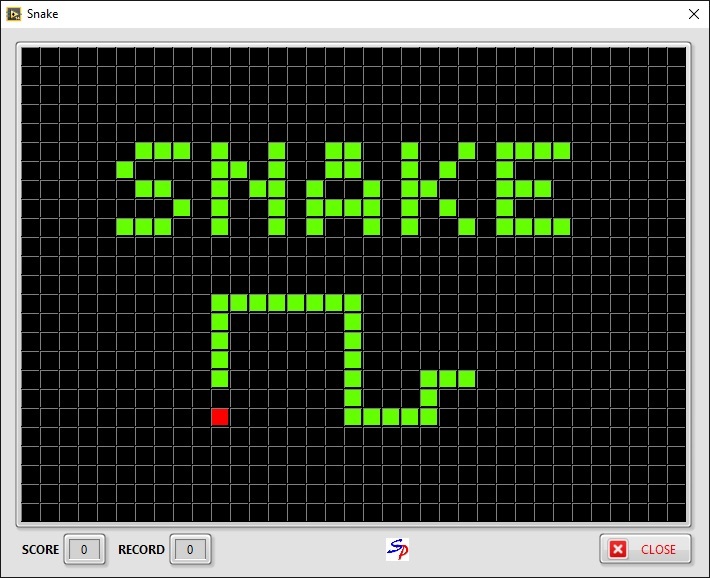 Recently I found the good old snake game in LabVIEW version on National Instrument’s Code Exchange pages (link). Since LabVIEW is very expensive software for professional use in research and manufacturing, I didn’t expect to find games made with it. This really surprised me and I tried it. It has some issues and not really great design practices. I spent some time to rebuild the game in a little better way, fixed the issues I found and did some changes on the playing grid (array) to make it less exhausting for the eyes. 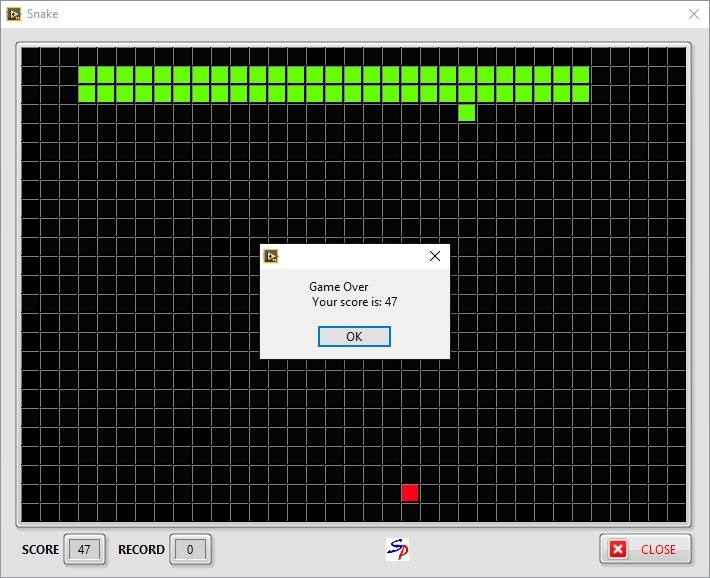 I also added high score option so you can keep your record. There is a startup screen for couple of seconds as well. Looks nice and brings some joy 🙂 It’s far from perfect, but it is just for fun. I didn’t find any license notice on the page I got it from, so I am assuming it is OK to release my modification for free.